Exploiting a huge volume of free available Copernicus System Sentinel-2 satellite data, being collected daily, can be easily and effectively only with the use of artificial intelligence. This is what our partnership with Simulirity provides to us, through Simularity’s artificial intelligence solution for satellite data, Automated Image Anomaly Detection System (AIADS). This solution massively provides the capacity to detect land use changes in time series of big volume satellite imagery (e.g. Sentinel-2), in a very simple, effective and successful way (http://simularity.com/solutions/satellite-anomaly-detection/). 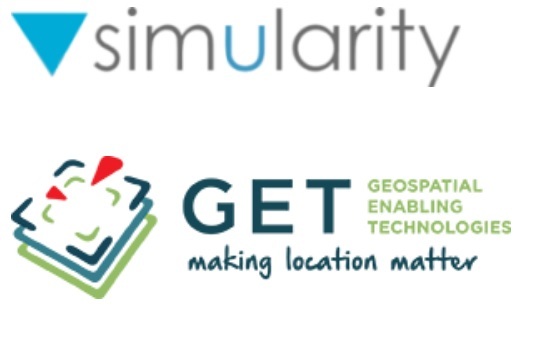 Simularity has joined forces with Athens-based Geospatial Enabling Technologies (www.GetMap.eu), to market Simularity’s Automated Image Anomaly Detection System in the Greek and Australian markets. GEOSPATIAL ENABLING TECHNOLOGIES (GET) was founded in 2006 with headquarters in Athens and in Thessaloniki, active in Greece and abroad. Their team consists of professionals with high level of technical knowledge and experience in management and development of spatial information, in open standards, open and free software, open data and the environment. Simularity, Inc., is a Silicon Valley Area startup that applies time series analytics and artificial intelligence to massive volumes of satellite and drone imagery, to rapidly provide actionable intelligence in the form of temporal change detection and other advanced analytical insights.